AT the time when I was finishing my reading of the book under review, for the second time in a fortnight, a top civil servant of yesteryears passed away in Bhopal. He was MN Buch and the illustrious record that he has left behind as a career bureaucrat I was fortunate to hear about twice in the memorial meetings in Delhi’s IIC and in Bhopal. Frankly, you get disappointed after reading Gods of Corruption and wish you had perhaps not bought a copy for your bookshelf. There have been many books, of late, written by former bureaucrats on the bureaucracy. Some bureaucrats fight while still in service (like Ashok Khemka, Arun Bhatia or Amitabh Thakur) and some write books after demitting office to help expose big-time scams and sensitise society and the system. The general perception about babus in this country has rapidly changed over the past few decades. Across the country and across various sections of society, most people believe that officers in positions of power are wheelers and dealers, are thoroughly corrupt and are eating into the once-robust steel frame, without any fear of any law. Thus, expectations from this kind of book were on the higher side. 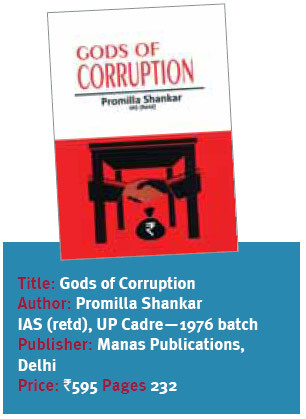 The title, Gods of Corruption, is so enticing that I thought it would bring out some untold, sensational stories and scandals about babus in UP. 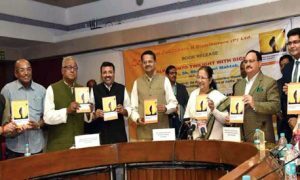 The introduction to the book says… “(it) talks about the experiences of an IAS officer in UP who was an independent-minded bureaucrat and who always found it going tough. 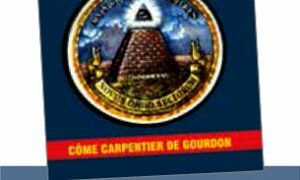 The book brings out succinctly what occupies the minds of bureaucrats and politicians, the games they play, the level to which they can stoop in achieving their vested interests, and why decision making and implementation is so tardy”. But you don’t find the big games played by officers and politicians. The author, who retired in 2011, has just chronicled her own career in a very drab and dull manner, department-wise, posting-wise and has tried to show how much harassment she faced from almost each of her superiors. What really disappoints a reader is her style of narration. She keeps telling you where she was posted, why she was removed, how her superiors did not respond to her calls and so on. What is also surprising is that she never had any important posting anywhere in UP. She kept being transferred under one party or the other, which is strange by any standards and evokes sympathy for her at times. Of course, she has put forward her own point of view on each transfer and seeks to put on record how she was wronged every time she tried to speak her mind or put something in black and white. At one place the author says “money counting machines too were rumoured to have been installed in some offices, including that of Yadav Singh, Chief Engineer of Noida, to name one, during one particular Chief Minister’s tenure”. There are many such instances in which she points to corruption but in a very generalised fashion. There are many other instances of corruption indicated by the author but without much substance or documentary support. Such a book could have been written, perhaps in a better way, by an observant journalist or political commentator covering Uttar Pradesh for a few decades. But when it comes from an IAS officer of 36 years of “distinguished service” surely more meat was expected, if not just spice. Here one finds neither spice nor meat! I failed to find the gods of corruption, though I know who he or she may have been in that vast state! After reading this book, an enlightened reader may not get much food for thought but may in fact wonder why Shankar was always right and in all the cases her seniors were wrong. For those interested in the functioning of the Indian bureaucracy, a four-year-old book The Service of the State—The IAS Reconsidered, makes for much better reading. 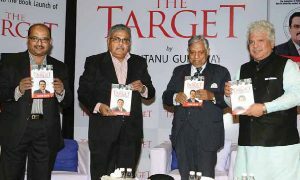 The author is Bhaskar Ghosh, former Secretary of the Information and Broadcasting Ministry, in the Government of India.